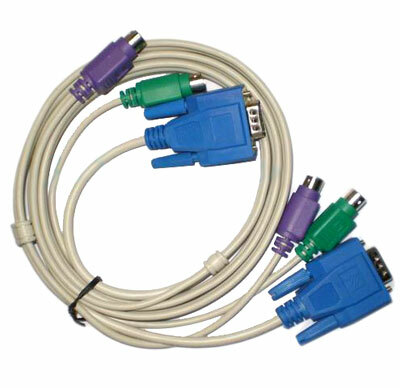 Cable 10ft for KVM VGA+2xPS/2 Cable Length: 10 ft (3 m) High-quality KVM cable. Keyboard & Mouse: PS/2 type 6-pin mini Din. Monitor: 15-pin HDDB type.